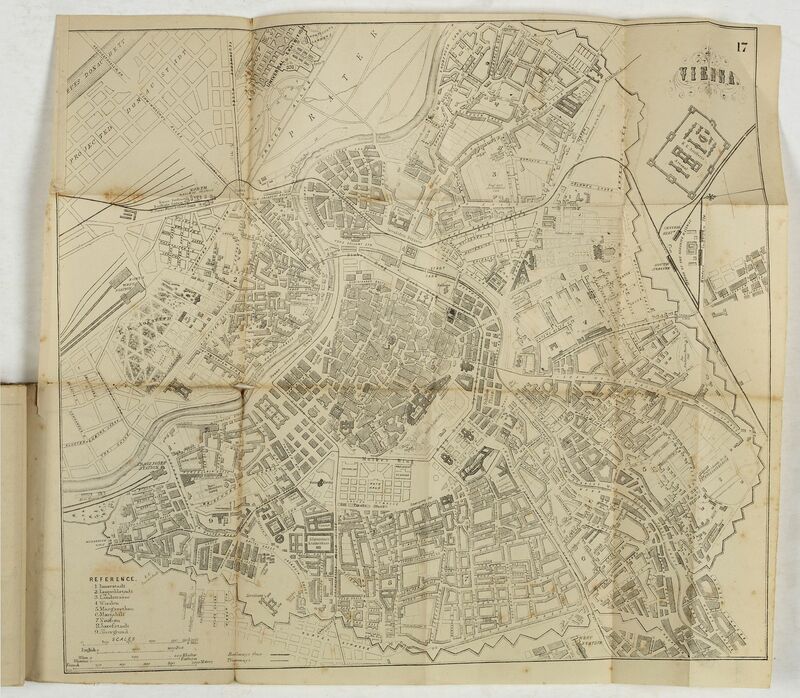 Old map by BRADSHAW - Plans of the most important cities and towns of continental Europe accompanying the special edition of Bradshw's continental railway, steam transit, &c. Guide and general handbook. 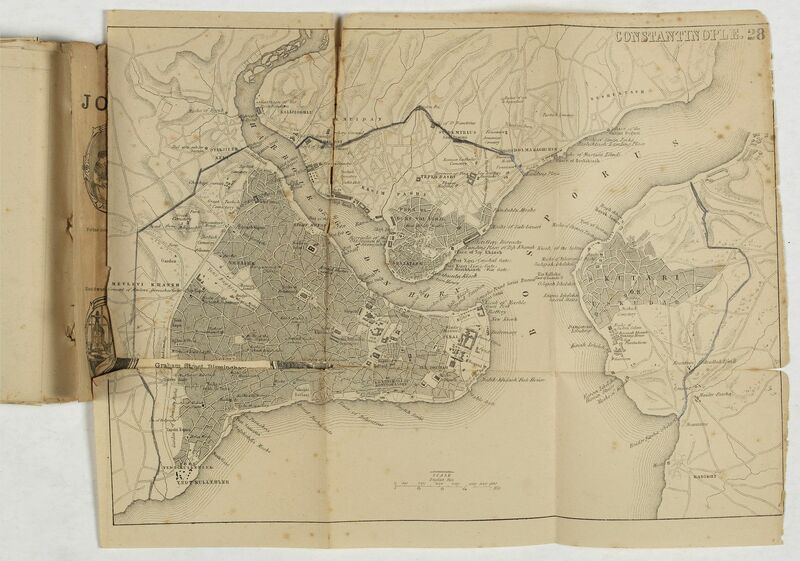 Title: Plans of the most important cities and towns of continental Europe accompanying the special edition of Bradshw's continental railway, steam transit, &c. Guide and general handbook. Size: 5.7 x 4.3 inches. 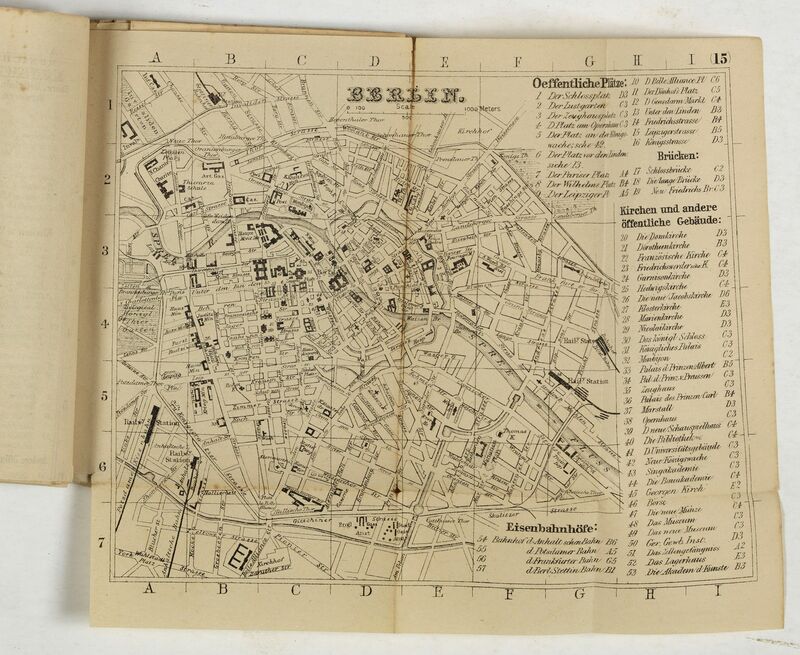 Condition: Guidebook with 28 folding plans of the most important European cities. 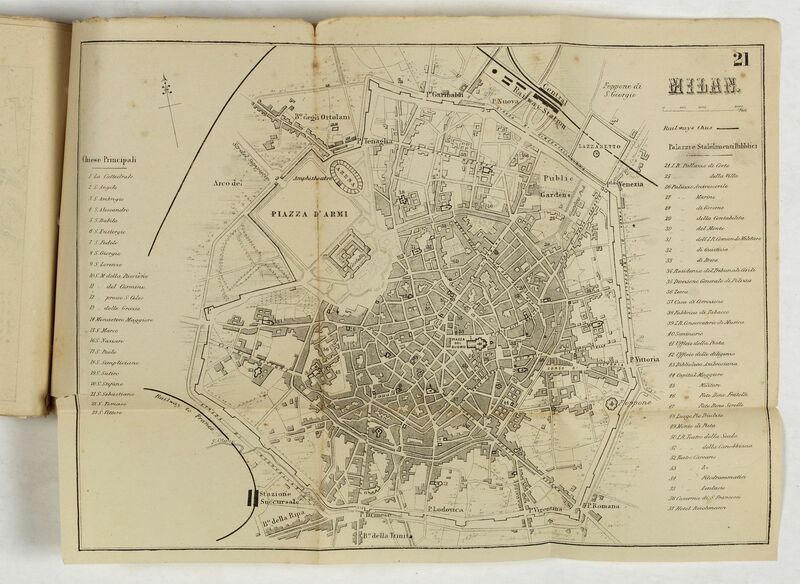 Folded plans printed in lithography on thin paper. worn with some maps detached although appears to be complete. 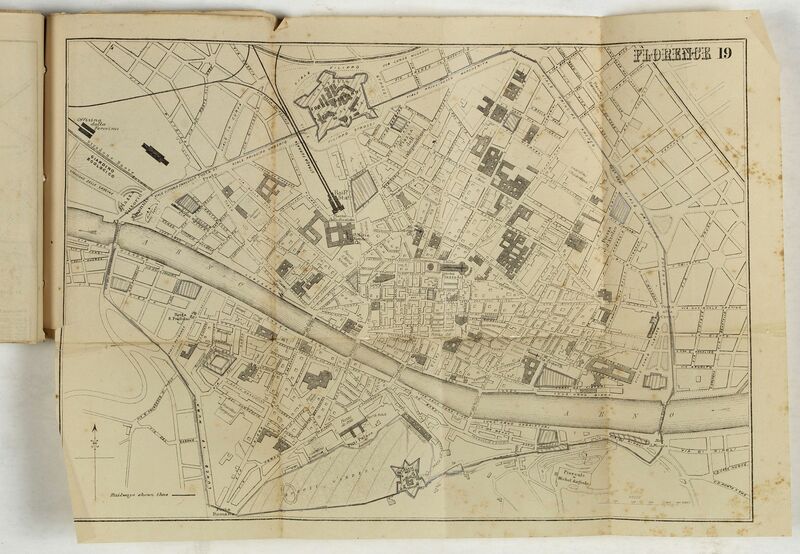 Including plans of Paris, Lyon, Marseilles, Ostend, Ghent, Brussels, Antwerp, The Hague, Cologne, Mayence, Frankfort on the Maine, Dresden, Hamburg, Munich, Berlin, Trieste, Vienna, Geneva, Florence, Genoa, Milan, Naples, Rome, Turin, Venice, Verona, Palermo and Constantinople (Istanbul). 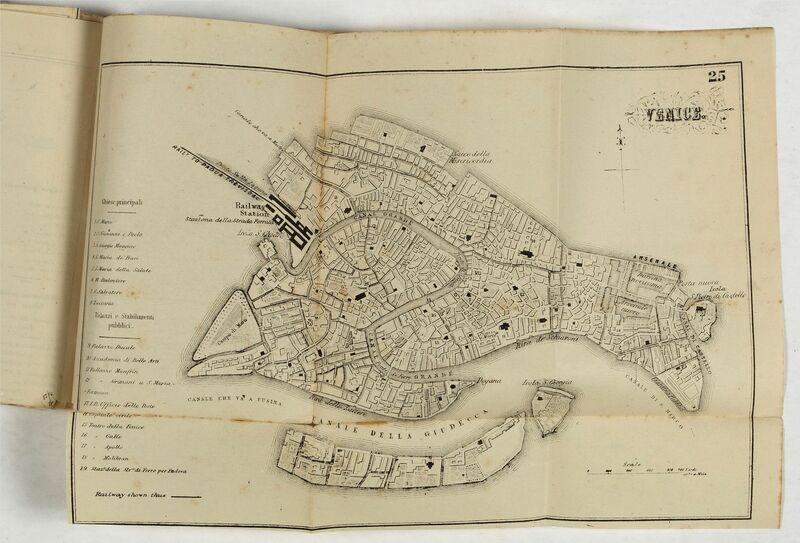 George Bradshaw (1801-1853) was an English cartographer and publisher. He developed the eponymously titled Bradshaw's Guide, a series of railway guides and timetables which became so ubiquitous that until the early 20th century a "Bradshaw" became synonymous with (and genericized to describe) any such publication. 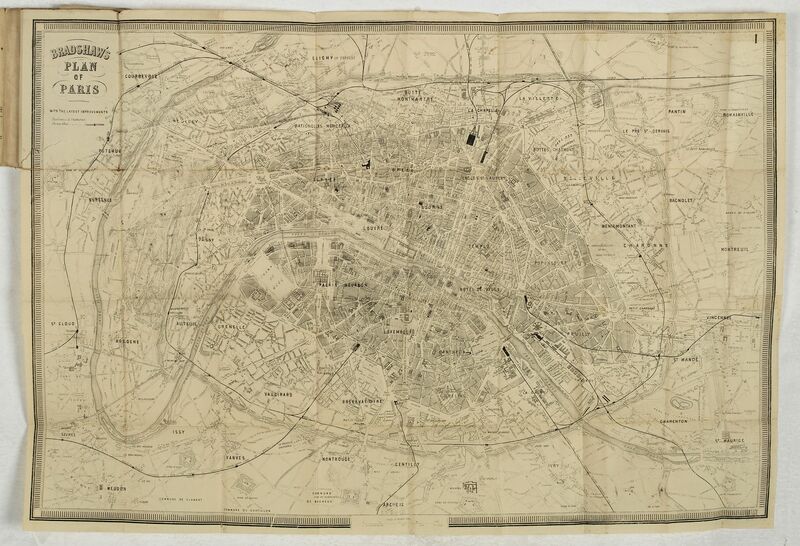 First published in 1839 at the dawn of the railway age, Bradshaw's map of all lines in operation in England and Wales accompanying the 1840 guide is believed to be the world's first national railway map. 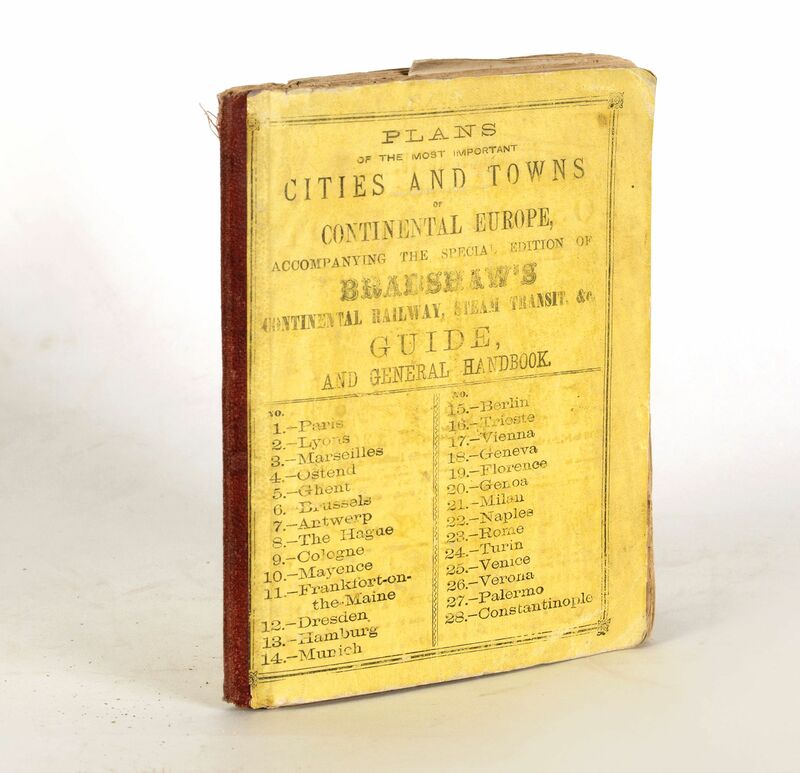 Coverage was extended in 1847 with first publication of Bradshaw's Continental Railway and Steam Transit Guide, editions from the 1880's onwards were accompanied by folding plans of the most important cities and towns of continental Europe, which we stock below. The guides have been referenced many times in literature by authors including Charles Dickens, Agatha Christie, and Sir Arthur Conan Doyle. The titles continued to be published until 1961.